If you were one of the lucky few who was able to obtain a pair of those highly-fashionable eclipse glasses for our recent solar eclipse, don’t throw them away just yet. 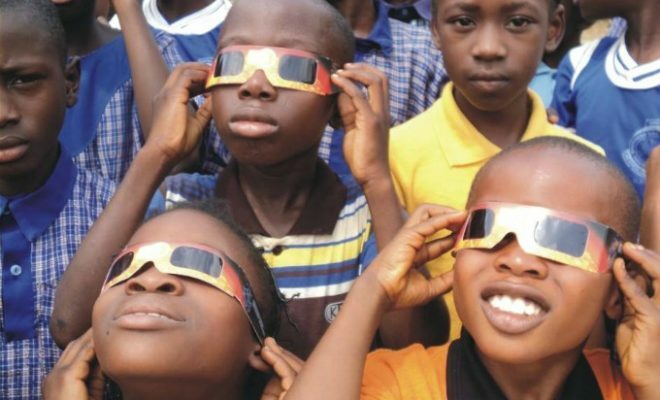 Astronomers Without Borders and its partners are collecting glasses after the eclipse, to be sent to schools in South America and Asia when eclipses cross those continents in 2019. Ahead of the eclipse that we experienced on August 21, eclipse glasses were in short-supply. Since it is ill-advised to look directly at the sun without protective eye wear, many people resorted to wearing welding helmets in the absence of eclipse glasses. Optometrists warned that sunglasses, smoked glass, unfiltered telescopes or magnifiers, and polarizing filters were unsafe for use during an eclipse. 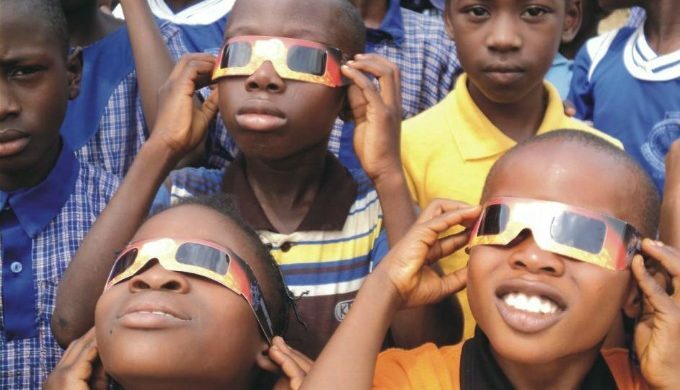 Astronomers Without Borders plans to redistribute the glasses to people in South America for the July 2, 2019, total solar eclipse and in Asia for the Dec. 26, 2019, annular eclipse. 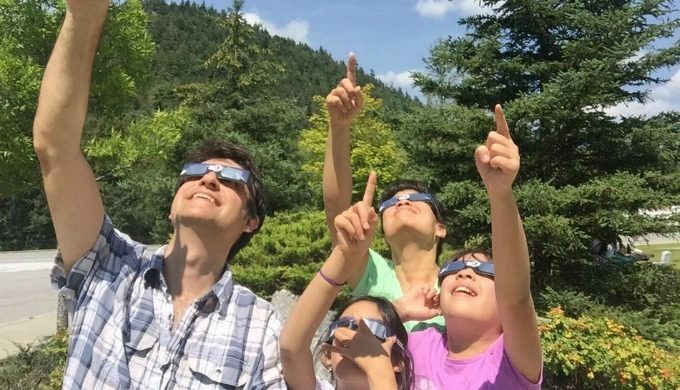 According to NASA, eclipse glasses that are up to the current standard last indefinitely “if the filters aren’t scratched, punctured or torn.” If you plan on traveling for the next American eclipse in 2024 and have a safe place to store the glasses, hang onto them. Astronomers Without Borders brings the world together to share their passion for astronomy and the wonders of the Universe. They believe that in the process of looking outward (and upward) together, we learn about each other and create lasting bonds, regardless of country or culture. It is this bond between people that Astronomers Without Borders hopes to foster. A brief message or the gift of a small telescope can grow into lasting bonds, goodwill, and friendships that reach around the world. Astronomers Without Borders believes that understanding replaces ignorance and suspicion.